Many customers often ask us when on site while conducting a carpet clean, "Which is the best vacuum to use for my carpets?". And I state to them simply " a POWER HEAD vacuum". out of the bottom of the carpet fibres. The differance is shockingly amazing!!! We use power head vacuums prior to our Family Clean Carpet Cleaning Services Upwards to remove up to 93% of Dry Particle Soiling and Debri as our First Step to Thorougly Cleaning and Sanitising your Carpets! Today's power head vacuum are leadning the way in keeping your family and home in a Healty Sanitised State. "See what our customers are saying about us here." "Customer satisfaction is extremely important to us and word-of-mouth feedback is our main source of customers. So if you like our service, we'd love you to share your experience by reviewing us on WOMO.com.au - Word Of Mouth Online." The Warm/hot wheather is bring out Cockies, Ants, Spiders this year. 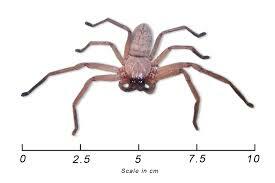 We are having alot of call from customer with Redbacks and large huntsman spiders more than usual. They are very fast and do jump at you when cornered or frightened. They normally come in via the Garage doors and through the opeing of the ajoining door to the house as they don't have bottom door jams.Bunning have a range of door adhesive seals that can fix the problem. Here a few help full tips from our friend the Consumer Guide on How to keep your carpet looking their best. Vacuuming is where most people start when maintaining their carpeting. That, then, is where we'll start this article on carpet-cleaning tips. But it isn't where the article will end. We'll present all sorts of guidelines for cleaning, removing stains, and dealing with various other problems. Soil retardants can be applied to new carpets or to newly cleaned carpets. Follow manufacturers' advice. Apply soil retardants only with professional equipment using the recommended application techniques. Odors are one thing -- spots and spills are quite another. Spots and spills happen to just about every carpet and can be difficult to remove. In the next section, we'll offer some pointers for getting rid of those blemishes.